We met this Northern Traditional War Dancer at a pow wow in Prescott, Arizona. 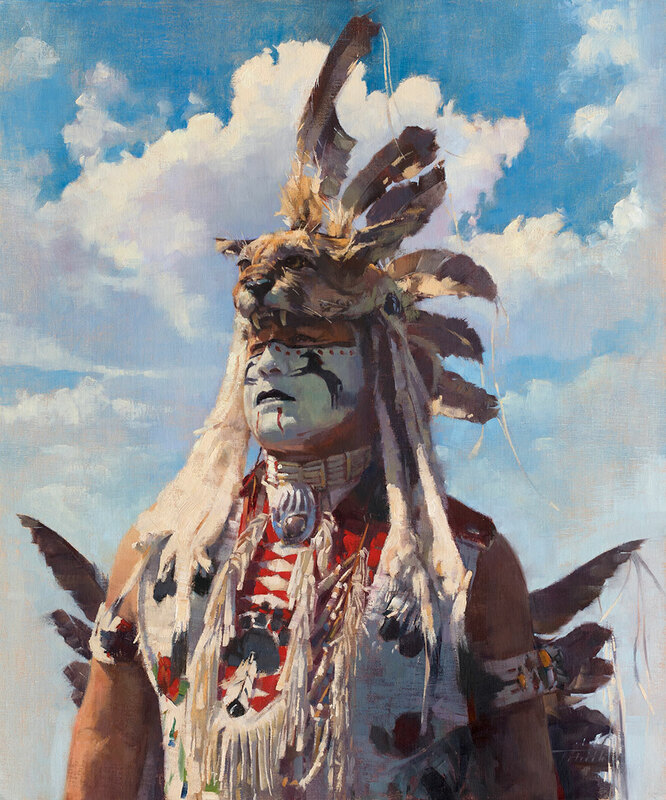 It was a beautiful day, and the feathers of his headdress connected him to the clouds in the sky. As a painter, it's exciting to work on a portrait that combines history, drama and storytelling with the challenges of competing textures and shapes. This painting was awarded the Certificate of Excellence by the Portrait Society of America for their 21st Annual International Portrait Competition, and will also be featured in the Oil Painters of America's 28th Annual National Juried Exhibition of Traditional Oils. Reference and painting photos by Saunders Fine Arts.